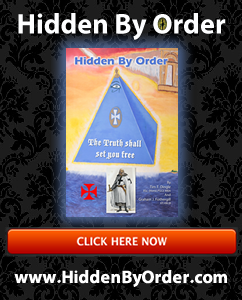 Proof of Reptilian Race here on Earth – New Exposé book by Knights Templar ‘Hidden By Order’ by Graham J Fothergill and Tim Dingle. Photos of Reptilian Skull. Revealed secrets of the Knights Templar, hidden for centuries for a reason, full of never before released truths about the Knights Templar, secrets of the pyramids, Magic and the Magi, Napoleon, Jesus’s face on the Sphinx, Priory of Sion, bloodlines and the Holy Grail, Da Vinci’s last supper, spiritual powers, how to see Angels, Devils and Draco (Dragons) and actual proof of ‘never before seen photos’ of a real reptilian skull, to mention just a few subjects covered in this exposé book. “The truth shall set you free”.